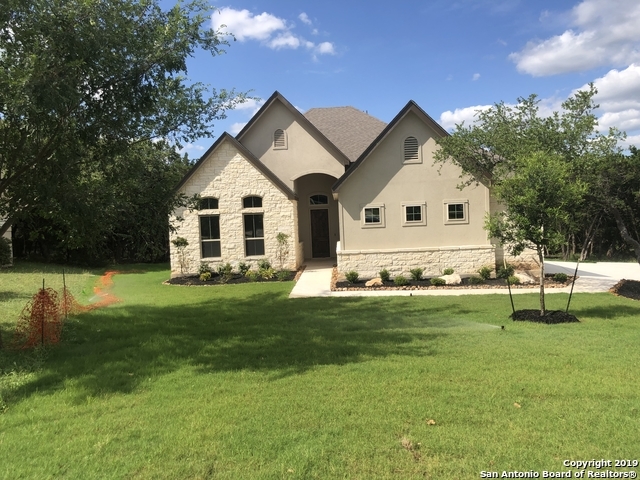 All SUNDANCE RANCH homes currently listed for sale in Boerne as of 04/18/2019 are shown below. You can change the search criteria at any time by pressing the 'Change Search' button below. 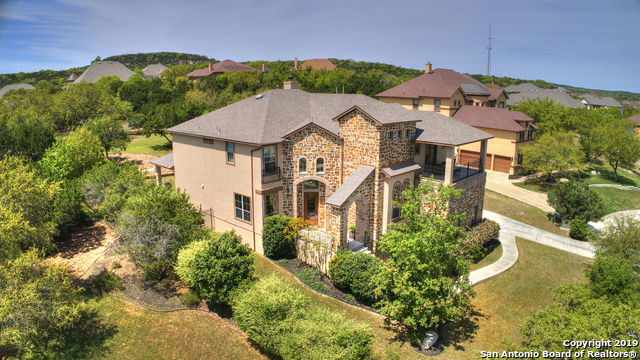 "Custom GEM on over half acre on elevated CUL-DE-SAC lot offers AMAZING Hill Country Views! Enjoy hardwood floors thru most of lower level. Wide open plan w/soaring windows front to back. Spacious gourmet kitchen & king-size family room overlook covered patio & park-like backyard! 2-story exec study. Ample Master Suite down w/spa bath. Curved staircase leads to 3 bedrooms, 2 baths up & HUGE game AND media rooms! 200 sq. ft. balcony is a peaceful retreat to enjoy the views. 3-car side garage. OP"
"You'll love this huge immaculate Hill Country home on a 1/2 acre+ greenbelt lot. 5 bdrm, 4 bath, 4200+ sqft. With an office, media room, work out room, multiple family/living rooms, there's a space for everyone! 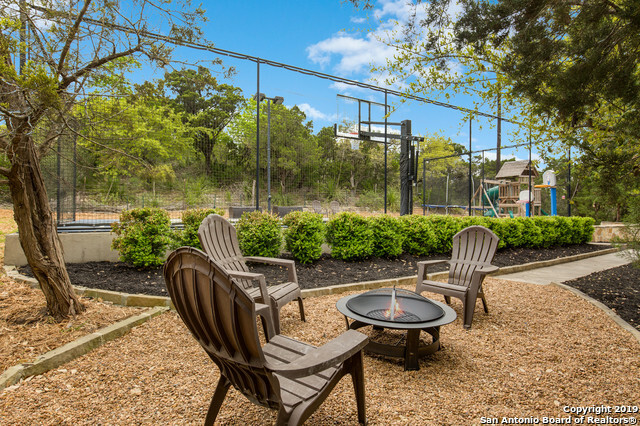 Back yard has lush landscaping, basketball / Tennis court, playscape, & 2 covered patios. In a quaint subdivision surrounded by horse and cattle ranches - far enough outside the city to see the stars, yet only 10 minutes from town. Bexar County, NISD schools, between SA & Boerne. 100% mo"
"Luxurious home 1/2 ac+ lot awaits you. This home boasts newly remodeled master bath, whole house freshly painted in designer tones, large windows offering abundant natural light. Generous chef's open kitchen, wood/travertine floors, games & media room. Freshly landscaped with fully fenced yard with a fireplace & pergola to expand outdoor living. Do not miss this fabulous property." "Beautiful country setting. 10-ft ceilings and 8-ft interior doors on first level. Harwood railing and wrought iron balusters at staircase. Stone to ceiling 42-inch direct vent gas fireplace. Custom 42-inch cabinets, granite counter tops, and custom ceramic tile back splash in kitchen. Stainless steel appliances, including five-burner gas cook top and built-in double oven. Covered patio with preplumb for future outdoor kitchen. Fenced, sodded and landscaped home site, with irrigation system." 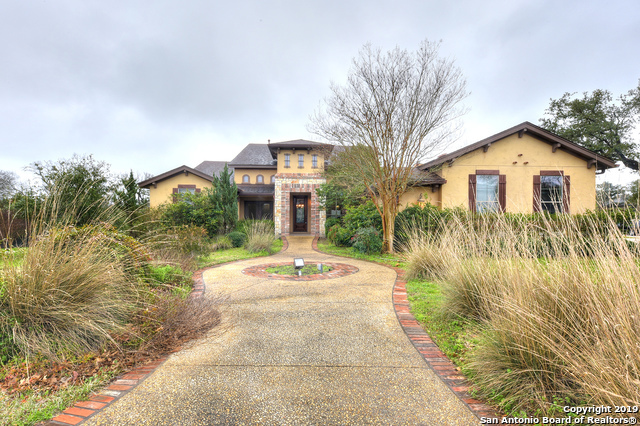 "Hill country feeling offers this 2 story home. The former model home features 3 BR/4 FBaths. Open kitchen w/breakfast bar,granite countertops,stainless steel appliances. Formal dining. Cozy formal living room with gas fireplace. Master suite offers terrace access,Whirlpool tub,walk in closet,separate baths and vanity. All bedrooms in main floor. Open office space w/outside access. Nice wood and title floors. A plethora of extras including crown moldings,wine closet,wet bar in GMR,spacious patio "